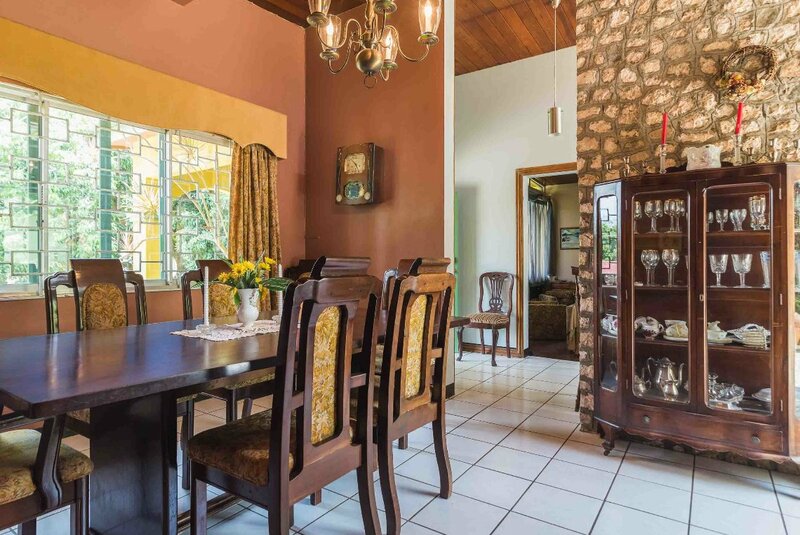 Country Home Villa is located in the cool and salubrious town of Mandeville, in the hills of central Jamaica. 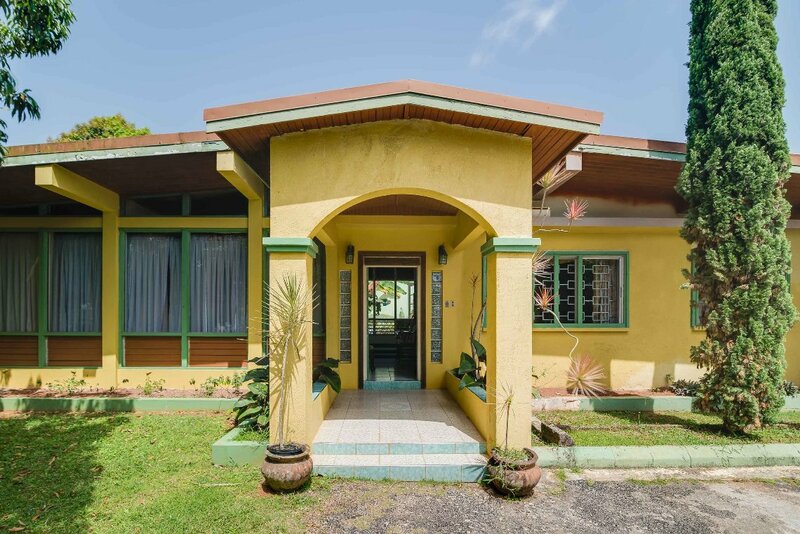 This property is in one of the best-rated locations in Mandeville and is also rated for the best value! We offer guests a clean, comfortable, traditional setting and an excellent breakfast. 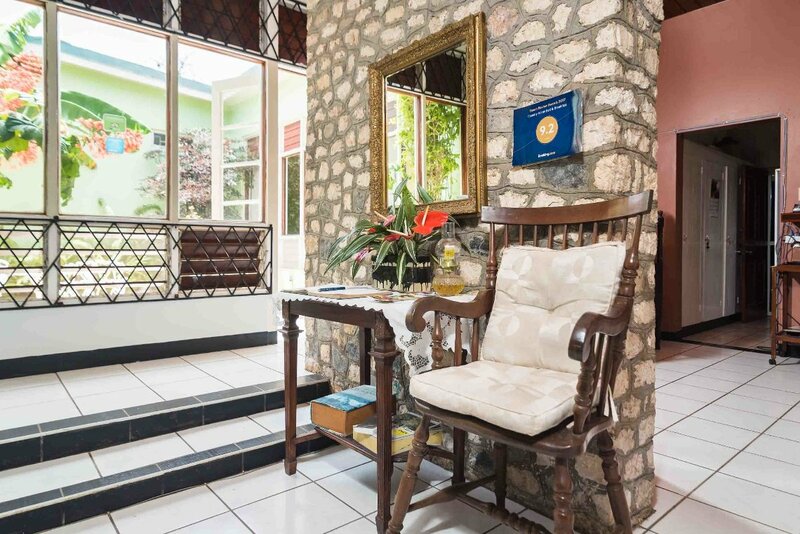 We are situated in a quiet and secure suburb within walking distance of the Manchester Golf and Tennis Club, (the first Golf Course in the Caribbean – founded in 1865), as well as excellent restaurants, fast food outlets and shopping malls. Airport Pickup is available upon request and there is free secure parking on the property. Mandeville is also a foremost stopping point for the Bus service – Knutsford Express – which provides a reliable daily service to major towns and cities across Jamaica. Guests may choose to reserve the entire Villa of 4 bedrooms with ensuite bathrooms, which can accommodate up to 9 persons or choose to rent one bedroom only with adjoining bathroom or the self-contained Suite. 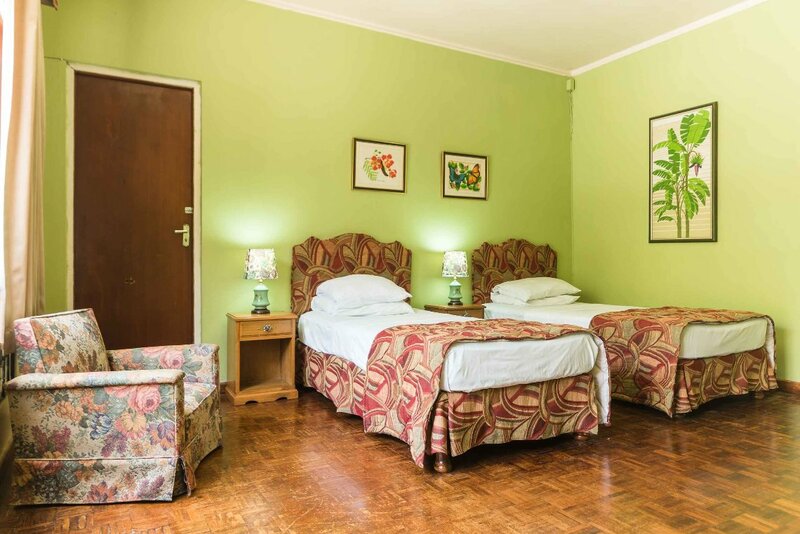 Each bedroom has a flat-screen TV with satellite channels and a comfortable sitting area. Some bedrooms offer views of the indoor atrium, courtyard and fountain, and others of the garden. Free WiFi is available throughout the property. A choice of Continental, Vegan or cooked-to-order American breakfast is available. Guests may also wish to order our authentic Jamaican breakfast of ackee and salt fish, roasted breadfruit and fried plantain. Delicious! Fresh tropical fruits! Jamaican Blue Mountain Coffee brewed to perfection! The Manager resides on the property and is available for interaction with guests. We will suggest various activities and attractions. We can also arrange transportation as required. Tours to the many attractions in the surrounding area and the South Coast of the Island can be arranged by Country Home Villa’s staff.